National Fence Systems is New Jersey's supreme full service manufacturer and installer of fencing systems for Residential, Commercial, and Industrial applications on the East Coast. National Fence Systems has been providing the fence industry with an assortment of products and services for over 30 years. 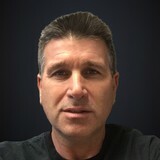 Founded in 1985, National Fence Systems operates a 50,000 square foot manufacturing facility located on four acres in Avenel in Central New Jersey. National Fence Systems offers full lines of various types of fences, to fit anyone's needs. National Fence Systems offers Vinyl Fences and Railings, Gemstone Ornamental Aluminum Fences, Intrepid Ornamental Steel Fences, Custom Wood Fences, Custom Estate Gates, and other various fencing products. National Fence Systems offers free estimates on jobs and can provide you with complete installation services, from repairs to Privacy Fence, Gates, and Gate Operators. The Railing Mentch has become one of the leading full service custom wrought iron fencing and railing companies for residential, commercial and industrial businesses. Railing Mentch craftsmanship and artistic designers customize welded railings for exterior and interior properties that adds beauty to any patio, deck, or balcony by bringing together the surrounding landscape and architecture. Our years of experience in craftsmanship has allowed us to develop a unique fence,stair, and railing building technology to make distinctive railings that are the expression of your unique vision, design ideas and goals. The key to our success is working in close relationship with our clients from the initial project to completion, to customize what they feel best suit them. Our dedication to meeting your needs effectively, professionally, and affordably are unparalleled. 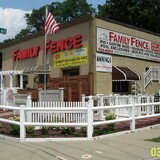 Your Garden City Park, NY fence installation and repair professional will work with you to create your ideal fence. 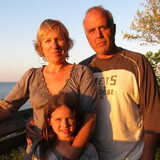 Find a fence contractor in Garden City Park, NY on Houzz. 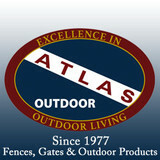 Narrow your search in the Professionals section of the website to Garden City Park, NY fence contractors. You can also look through Garden City Park, NY photos to find examples of fencing and gates that you like, then contact the professional who worked on them.